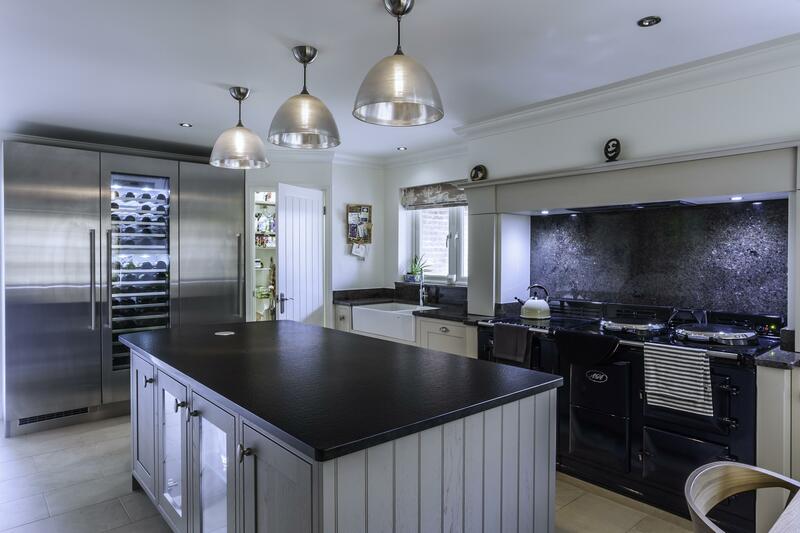 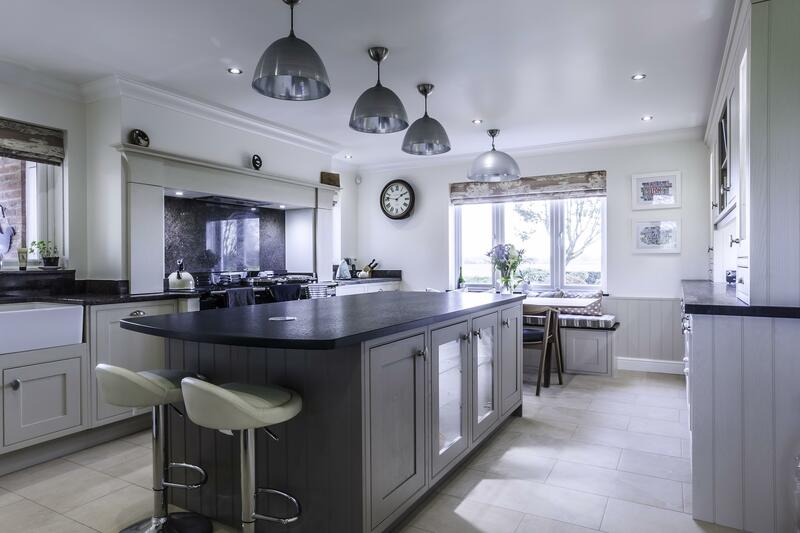 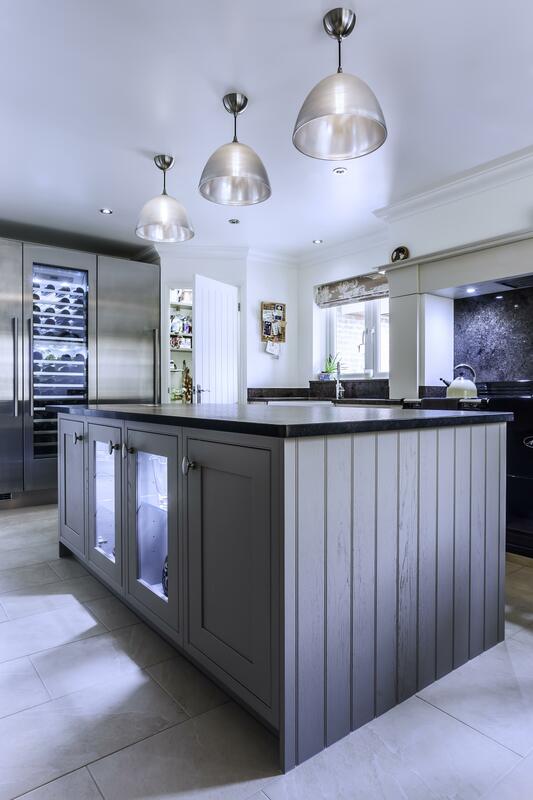 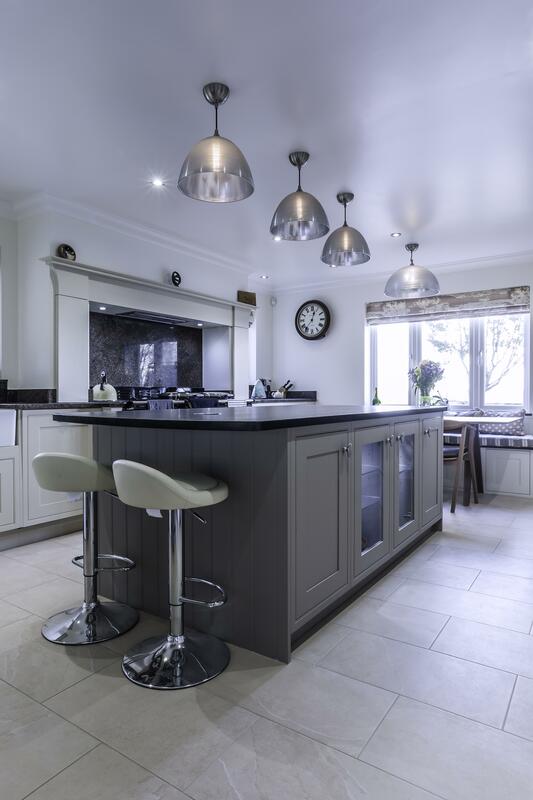 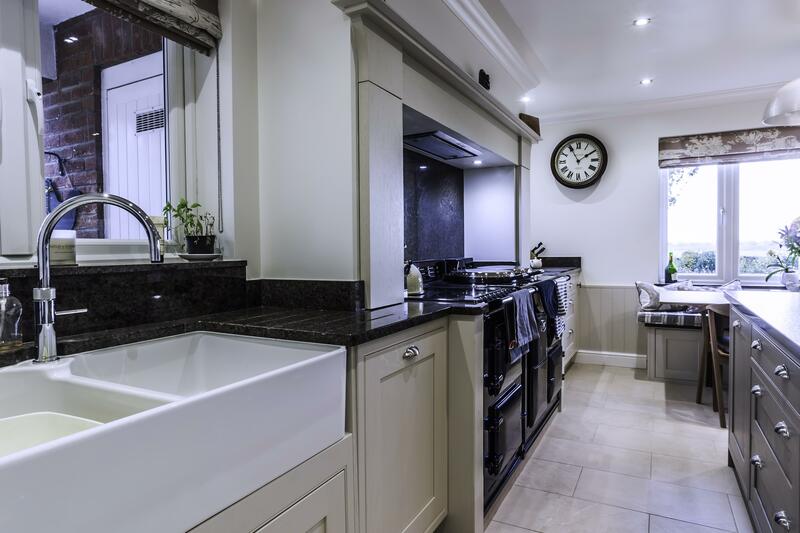 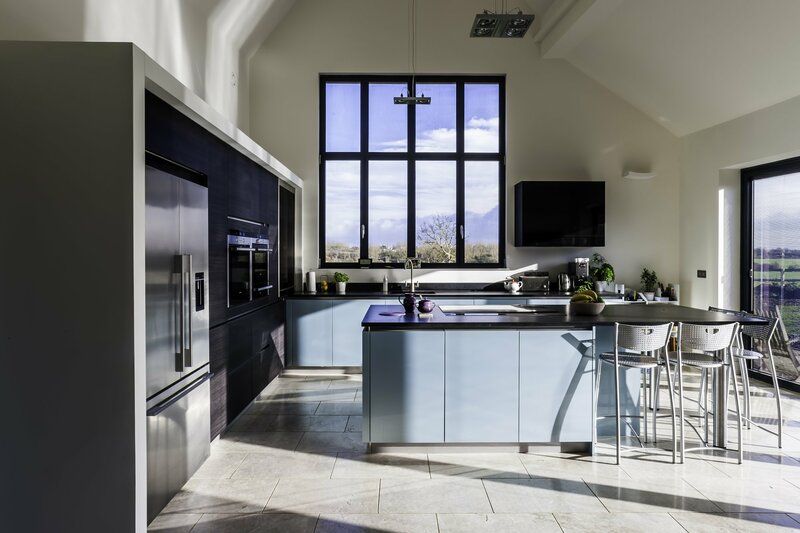 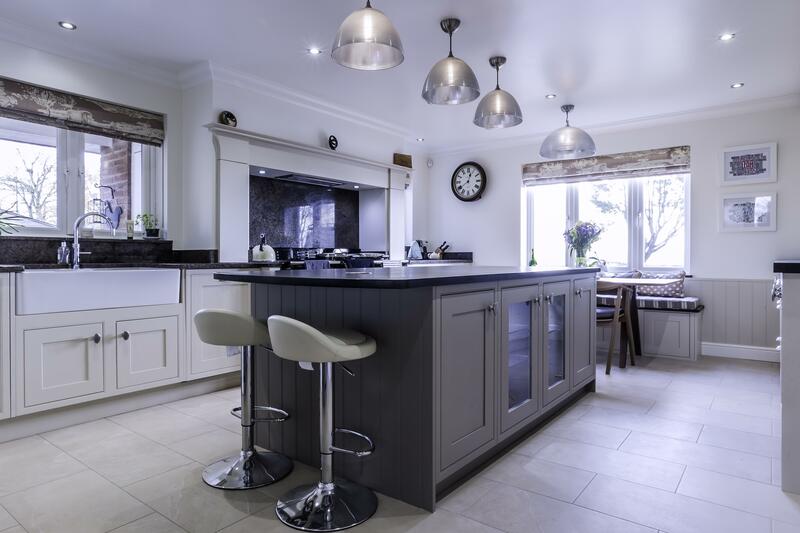 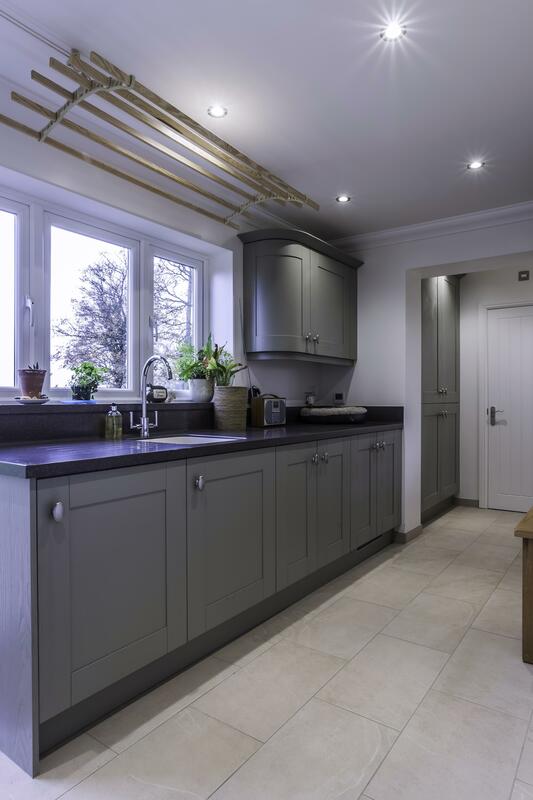 A shaker style kitchen is a timeless investment that will always be ‘on trend’. 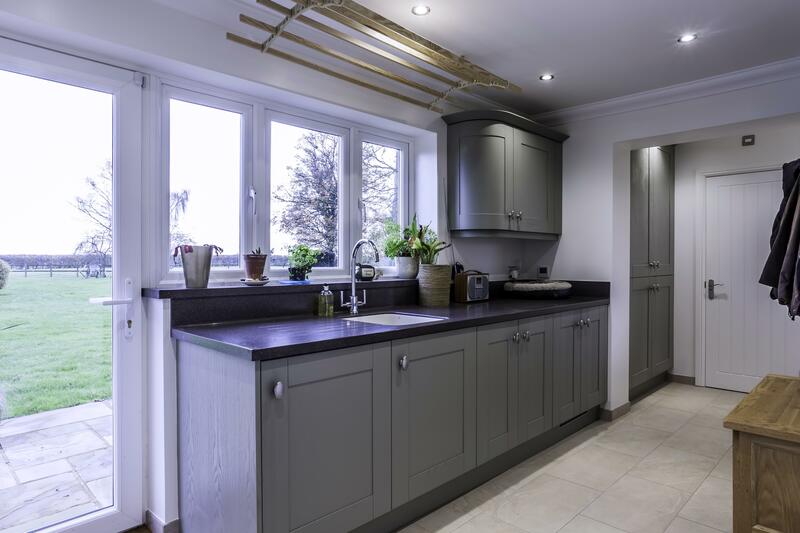 This beautiful kitchen is a solid wood door in a mix of ‘Calico Cream’ and ‘Pumice’. 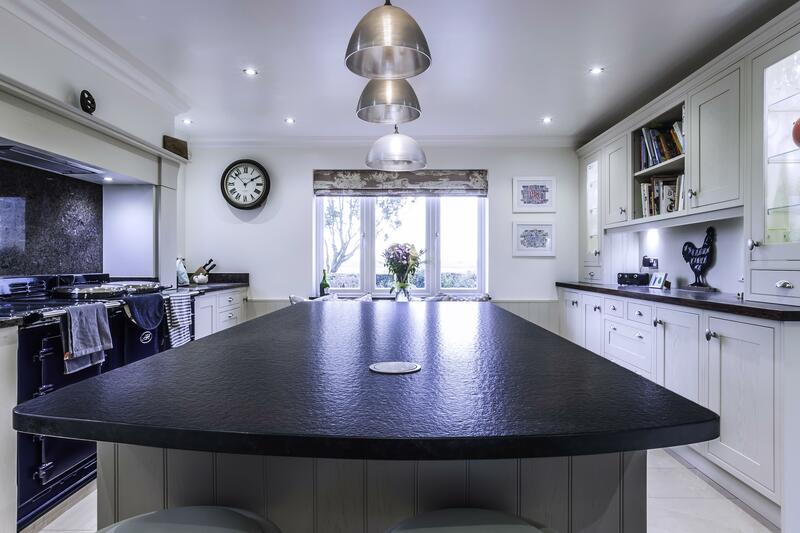 The client opted for two different worktop colours, both in granite. 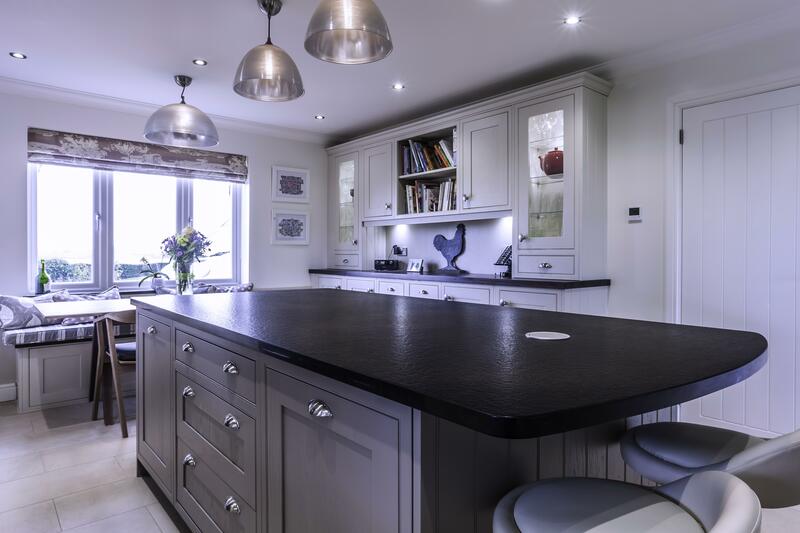 On the sink and hob run they chose ‘Labrador Antique’ which has a subtle fleck to it, and the island is a matt finish in ‘Nero Assoluto’. 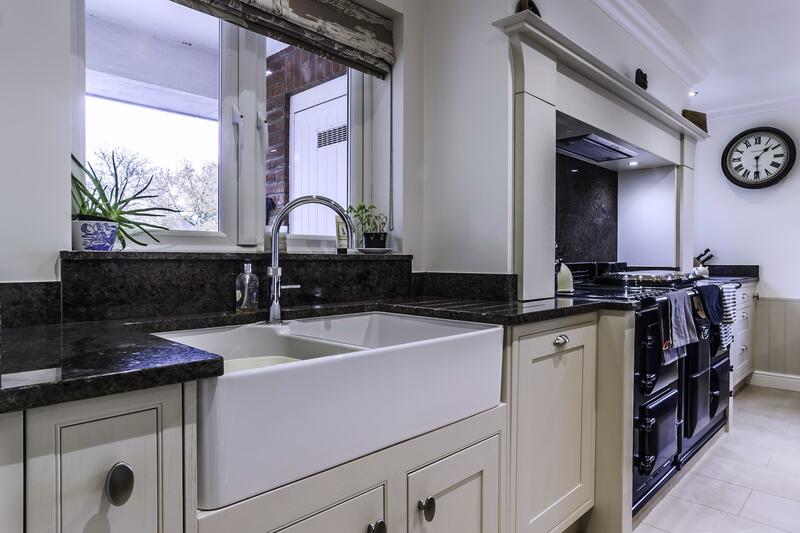 Incorporating traditional and modern elements into one space creates a classic look. 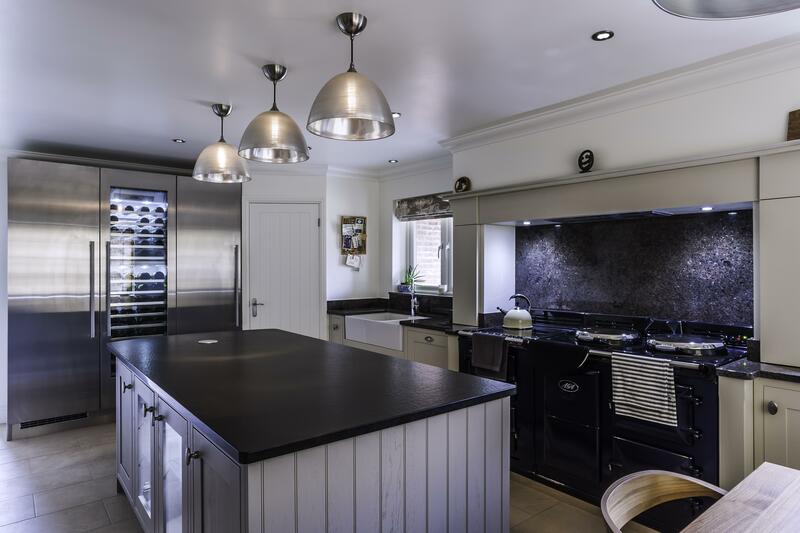 The mantle above the hob hides the extractor, framing the large black AGA and also creating a focal point in the room. 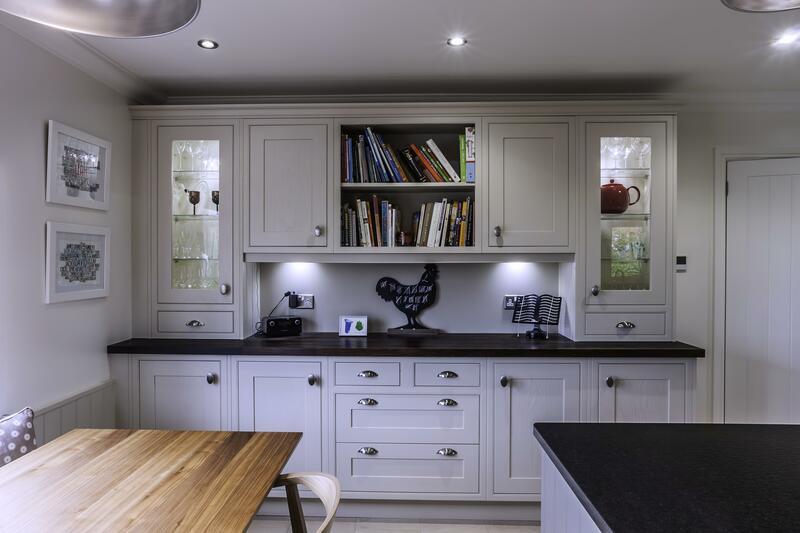 Being a keen cook, the client was eager to show off their many cookbooks, so we incorporated open shelving and glass units to display these. 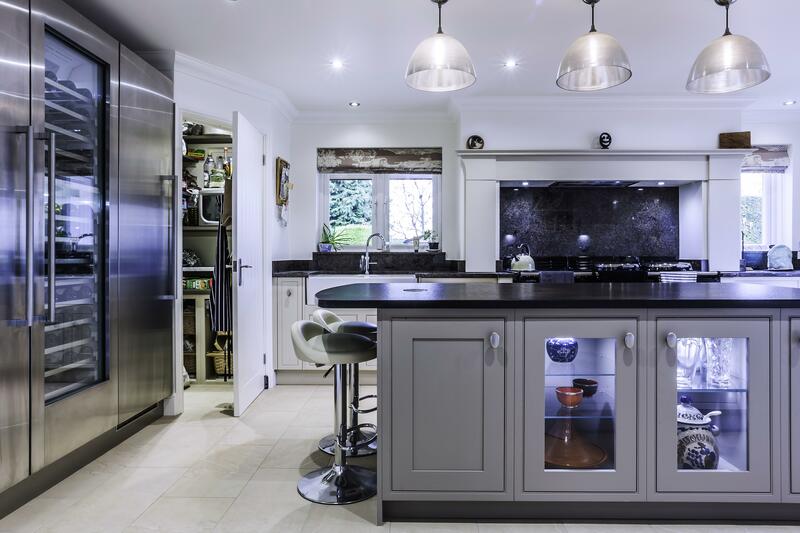 This breaks up the furniture and gives a homely, more lifestyle feel to the space. 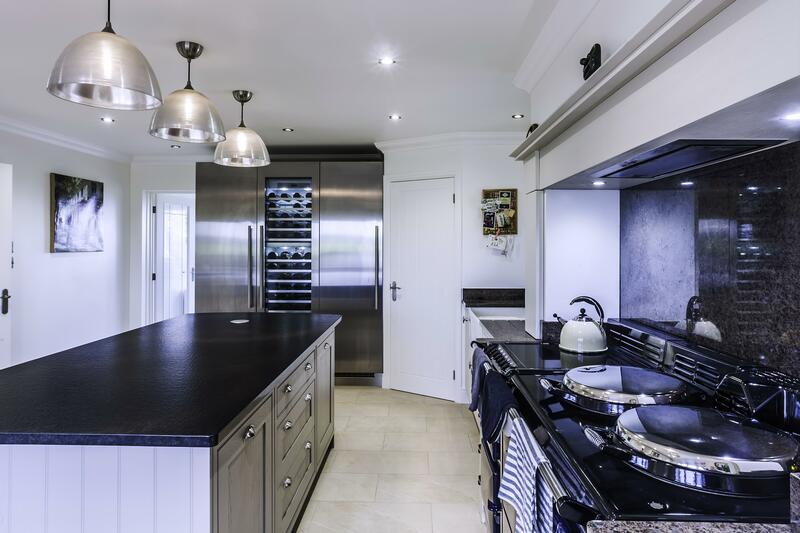 Last but not least, the showstopper in this kitchen is the Siemen’s ‘aCool’ appliances. 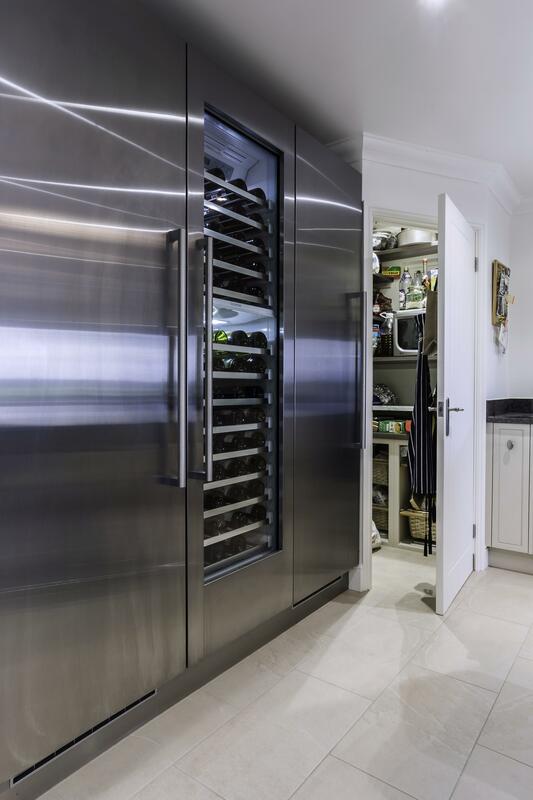 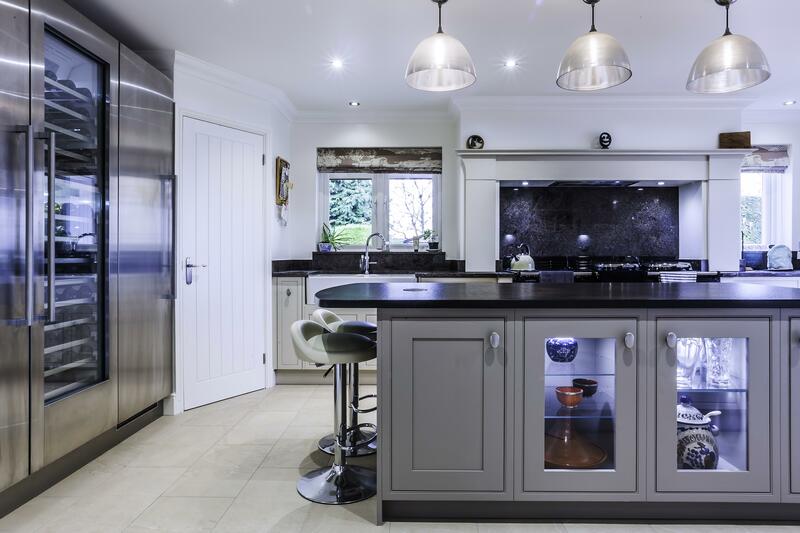 A separate fridge, freezer and wine cabinet allows for plenty of food and drink to be stocked at all times. 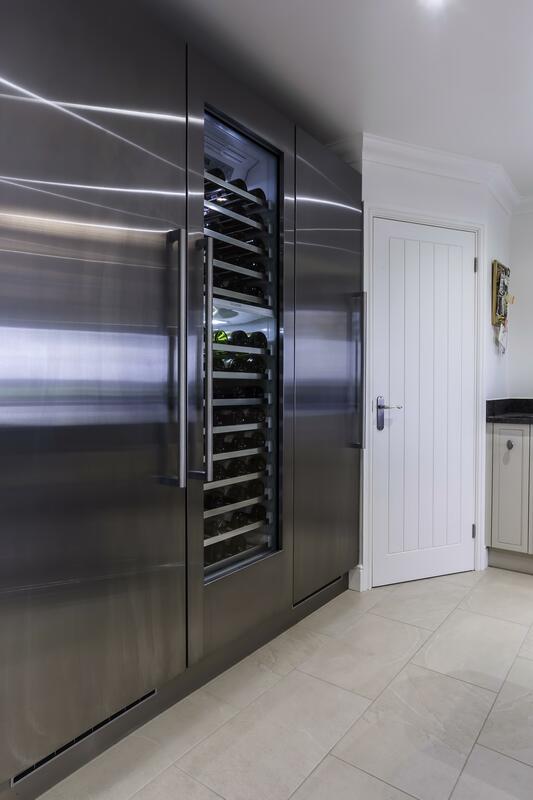 The wine cabinet holds 98 bottles, perfect for the wine connoisseur or budding hostess.